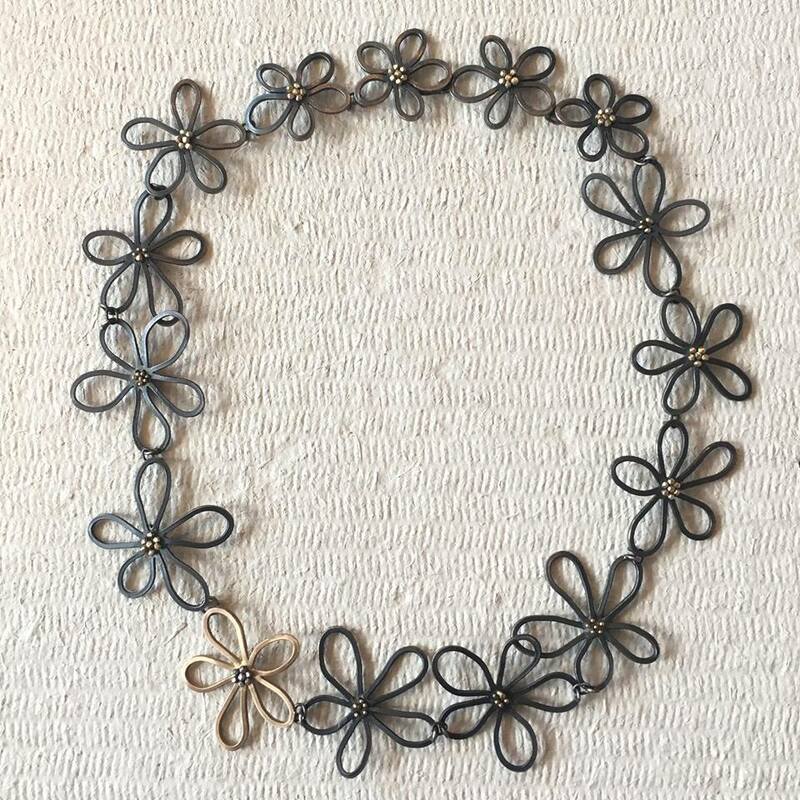 A playful five-petal silhouette makes up each link of the Limned Flower necklace. 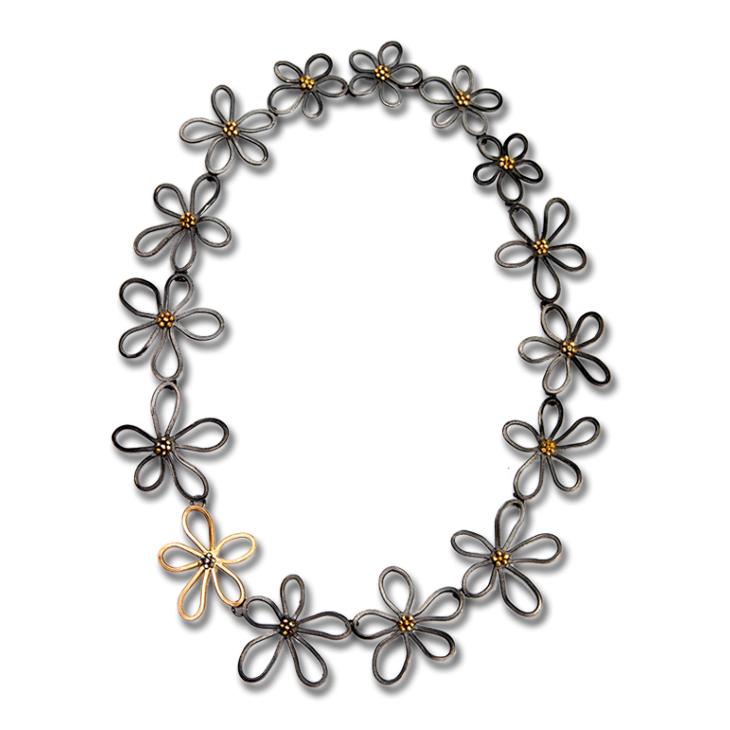 Oxidized sterling silver contrasts with the glistening 18k gold stamens that center each link. 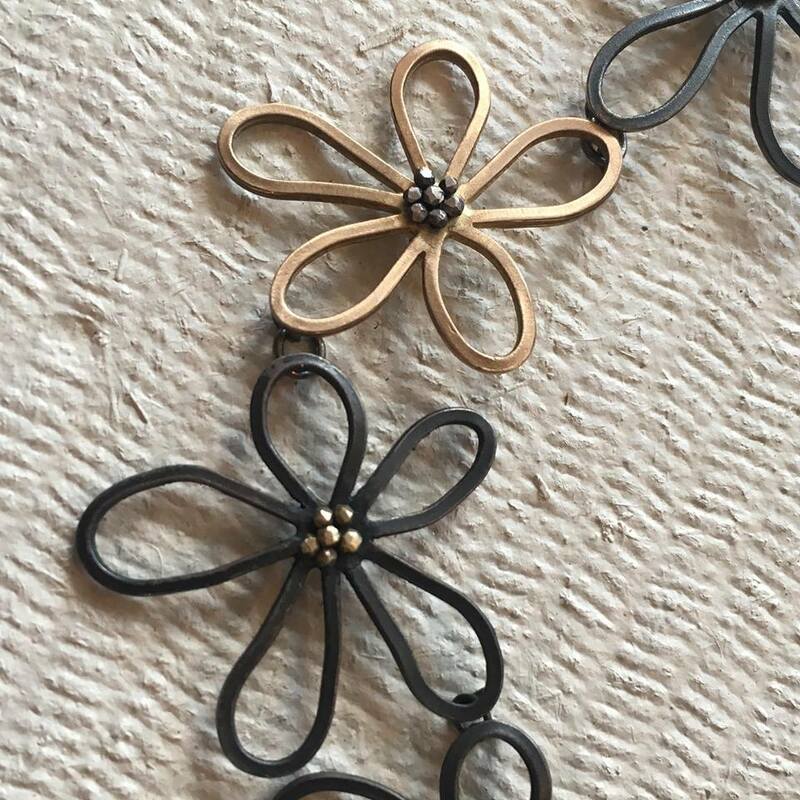 A 14K yellow gold flower link marks where the hook closure is, and can be worn at the front, back or anywhere in between. An exquisite statement necklace, the Limned would look magnificent on a bride or on any neck for an elegant evening out. Please specify any preferences for size, delivery options, finish or other details. QTY 1 2 3 4 5 SIZE 16" 18"
Please note that there may be an extra charge for all necklace ordered in a length longer than 16". 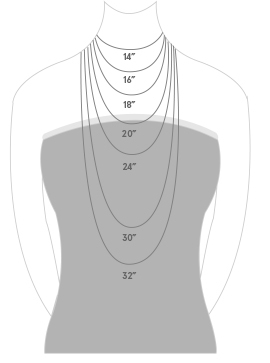 At this time your cart will reflect the price for the 16" Length, even if you select a longer size. Our studio will calculate the difference in price and contact you for approval before finally processing your order. There may be an extra charge for certain bangles ordered in a Small or Large Size. 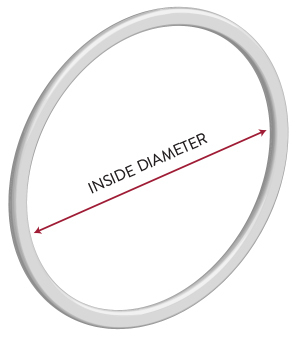 Since many bangles are stocked only in the Regular (2.5" inside diameter), a charge may be added to resize the bangle to a Small or Large size. At this time your cart will reflect the price for the Reg/Med size, even if you select a different option. Our studio will contact you for approval before processing finally such an order.